If you are a big fan of smart mystery shows like Sherlock and can’t get enough of it, here are a few other shows that you will love. Sherlock Holmes is a name most people have heard before. Originally created in the classic stories of Arthur Conan Doyle, many of you may know about him because of the BBC series “Sherlock”, which takes a look at a modern adaption of the famous stories. “Sherlock” follows around a detective and his assistant as they intelligently and brilliantly solve a wide variety of crimes in and around London. There are perhaps no other shows like Sherlock out there than Elementary. Like Sherlock, this show looks at a modern take on the story of Sherlock Holmes. Instead of London, this show is set in New York where Holmes works as a consultant with the police to help them solve crimes. It is also quite interesting to have Watson portrayed as a female in this version. Johnny Lee Miller, who plays Holmes, a recovering heroin addict, is no stranger to playing that type of role. He also played Sick Boy in the cult classic, Trainspotting. Watch Elementary Season 1 On Amazon Now! While the two are focused on fundamentally different industries, there are definitely some similarities here. Sherlock works with police while House works as a doctor. House is amazing at solving puzzles and figuring things out, so much so that other experts send patients to him when they can’t figure out what’s wrong. House is also very loosely based on the doctor that inspired Sherlock Holmes, so there is definitely a connection. Basically, if Sherlock was a doctor, he would be House. This show focuses on a famous former-psychic named Patrick Jane, who actually came clean as a fraud after his family was killed by a serial killer. He was able to pretend to be psychic by using his amazing observational skills. After coming clean about being a fraud, he joins up with the police to help them solve cases and find the person who killed his family. While this show is a comedy, and not a drama like Sherlock, the two shows have more in common than you might think. Psych focuses on a character who is pretending to be a psychic when in reality, he just has an amazing memory and a very good attention to detail. Remind you of anyone? He and his friend are hired by their local police force to help solve crimes, similar to Sherlock and Watson. 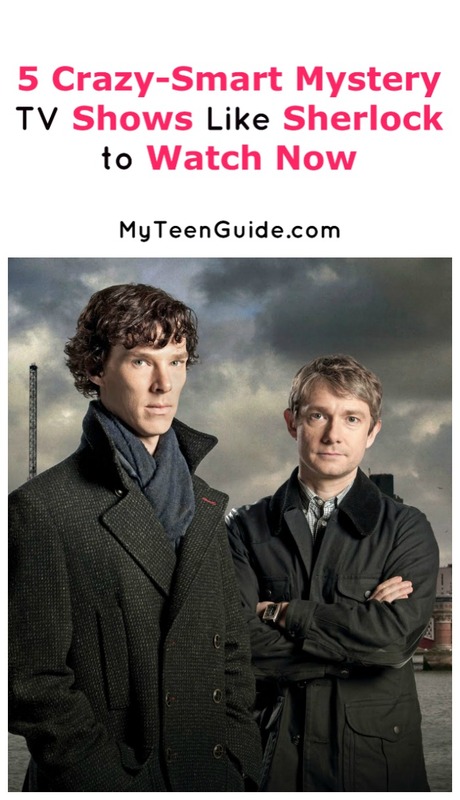 If you love the ongoing banter and battle between Sherlock and his arch-nemesis Moriarty, then you will love this show. It follows a police officer and his battle to prove the guilt of a psychopathic murderer. The cat and mouse game leads to an interesting dynamic as Luther (the cop) knows that Alice (the murderer) has done it, but can’t prove it or find the evidence necessary to put her away. These five great mystery shows like Sherlock should have you guessing whodunit for a while! If you haven’t already gotten into Sherlock, you can buy the first season on Amazon. Do you have any other favorite smart mystery shows like Sherlock? Share below!